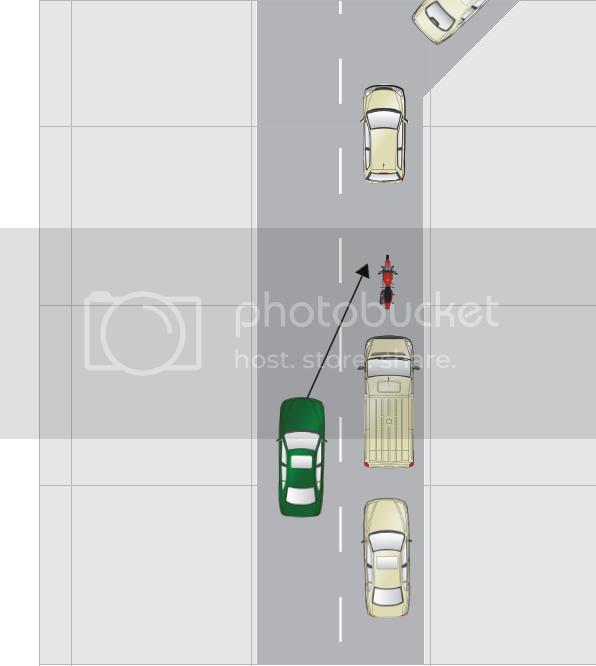 What Jessica and Tom don’t understand is that, for riders who have the temerity to park in Manhattan, getting knocked over isn’t a joke – it happens all the time. Sometimes it happens by accident, but even in those circumstance, it is vanishingly rare that the person who caused the accident ever leaves a note. As Mr. Martin suggested, “if the motorcycle owner isn’t nearby”, just laugh it off. Maybe Demetri Martin can make a joke out of that for him? Sadly, this prevailing attitude — that people who ride motorcycles are unworthy of being treated with very much basic human courtesy — is why anti-motorcycle rage-a-holics are allowed to continue as far as they are, as demonstrated by the story of Stephen Mara last year. The grandson of late Giants owner Wellington Mara was charged with five counts of arson after he twice set fire to motorcycles parked near his East Side apartment, police said Tuesday. Stephen Mara, 26, played the firebug on Halloween and again early Tuesday, torching motorcycles on Lexington Ave., around the corner from his apartment on E. 26th St. in Kips Bay, police said. Not only was this particular “anti-motorcycle-rager” allowed to progress to the point where he committed arson – but it was not even the first time he did it! Does he bully any other type of people? Did any of his friends or family try to stop him? Ever? 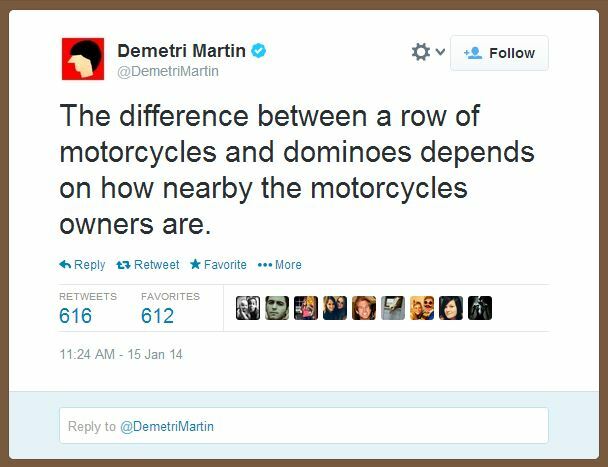 As of this writing, well over 3,000 people have “liked” Martin’s “Joke.” We hope that Demetri might read some of the comments from motorcyclists in response to his “joke” and perhaps learn that acting like a bully isn’t funny to the people on the receiving end of it. The book has closed on the December 2013 International Motorcycle Show, and we’re ready for a vacation! Unfortunately, there’s some urgent business we have to get to before we can take a break, which we’ll get to in just a moment. For all of you we met at the show, THANK YOU! It is always great to speak with the riders, and the show provides a great opportunity to hear what issues are important to you, as well as to test out what issues we are working on, and better practice how we might pitch them to the public. We’ll be talking about our issues of focus in upcoming emails. If you’re not on our mailing list, please sign up now! 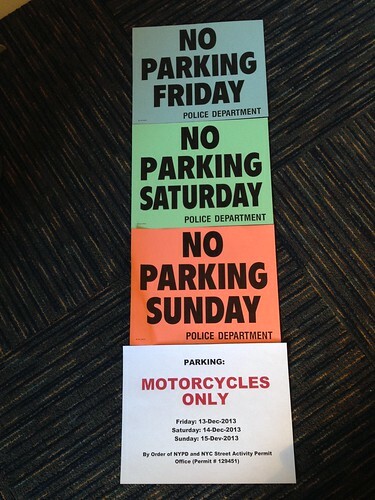 As most of you are probably aware, this year we succeeded in securing motorcycle-only parking at the motorcycle show! We could not have done this without your help, as well as help from Advanstar (the company which runs the Moto-show). Weather was a bit of a mixed bag (as it usually is for the show). On Friday quite a few of you took advantage of the parking. 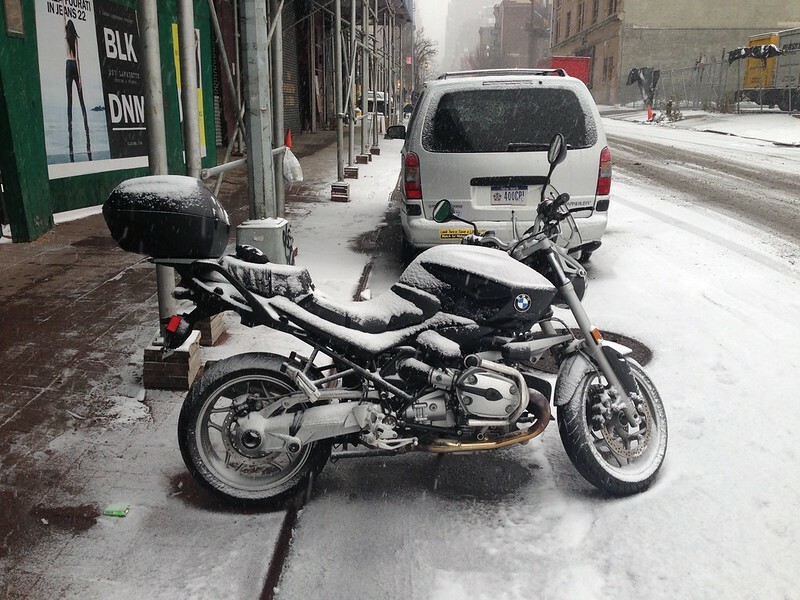 Saturday was snowing, so only the hardiest riders dared go out. Bravo to you! This was a learning experience for everybody. It is our hope that this will establish a precedence, so that next year it will not be as difficult to provide a way for riders to ride to the show! NYC! Only the strong survive. Now, on to the bit of urgent business we alluded to earlier. We need your help with this. 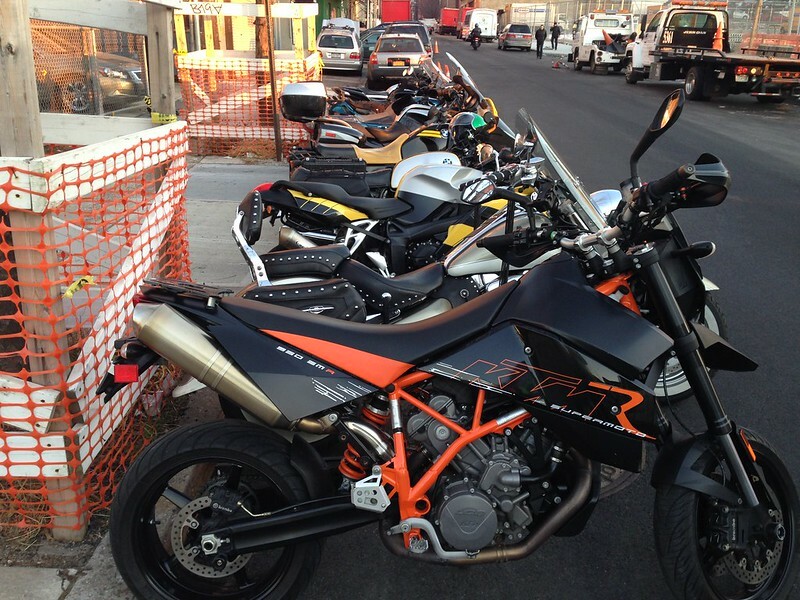 The AMA sent out an alert a couple days after the motorcycle show which concerns every rider in New York State! 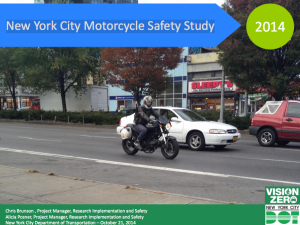 New York State Senator Adriano Espaillat (D-New York City) has prefiled legislation that would amend the administrative code of New York City to prohibit more than 50 motorcyclists to gather as an assembly and ride without paying for and obtaining a permit from the New York City Department of Transportation. Finally, THANKS for all your donations! The fund drive has been very helpful. We more than covered our costs for the motorcycle show, and we have resources which will carry us into the new year. If you have not already donated, please consider helping out!